Metalcraft, which forms Avingtrans plc’s energy and medical division, has acquired Aldridge-based Exterran (UK) Ltd for an undisclosed fee. Exterran (UK) Ltd, which was formerly a subsidiary of US-based Exterran, specialises in the design, fabrication and installation of products for the global oil and gas markets, including equipment for petroleum production, gas processing, produced water treatment and aftermarket parts and services. Its customers include Petrofac, Talisman and Shell. A long-standing customer of Metalcraft, Exterran (UK) Ltd will be integrated into the division and re-branded Maloney Metalcraft Ltd, reinvigorating a previously well-known brand in the market. Peter Kenny, managing director of Metalcraft, said: “We’re delighted with the acquisition, which strengthens our energy offer, bringing additional design expertise and manufacturing capabilities in-house. 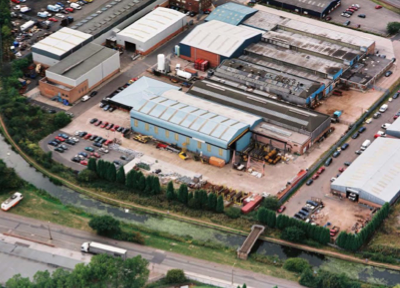 Cambridgeshire-based Metalcraft is a leading supplier of precision-engineered components to the energy, medical, water and environmental industries. As a major provider of medium-to-large fabricated and machined components for switchgear in power generation, it works with customers in both traditional energy and renewable industries (including wind turbines, wave and tidal power, biomass and industrial fuel cells) and specialises in the manufacture, inspection and testing of heat exchanger, gas containment, off-shore and large-pressure vessels and oil storage units for customers across the oil, gas and petrochemical industries. Paul Hardy of Hardy Transaction Management was the lead advisor to Avingtrans Plc while Keith Spedding, corporate partner at Shakespeares, led the legal team consisting of Jaswinder Bhogal and Debbie Irwin (property), Ross MacTaggart (commercial) and Michael Hibbs (employment).